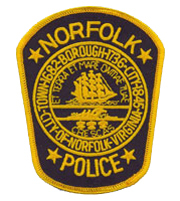 Speaker: Norfolk Chief of Police, Larry Boone (bring your questions for the City’s top law enforcement officer). You can also submit questions for Chief Boone by clicking here and we will compile the answers. When: 6:30 pm. Doors open at 6:00 pm for refreshments and socializing. Please come and join your neighbors to learn what’s going on around our neighborhood. And . . . a chance to win a free door prize gift certificate. Hope to see you!